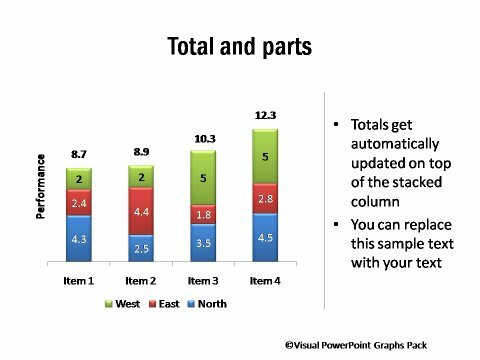 Description: These performance charts show the total as well as components of any data. 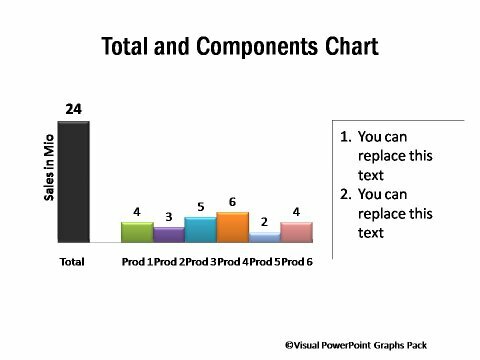 These charts are unique as you need to enter data only once in one worksheet for the totals and breakup to appear in the graphs. 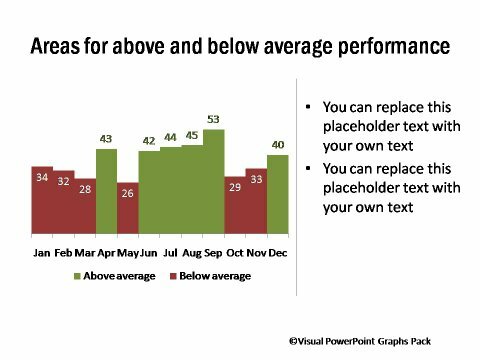 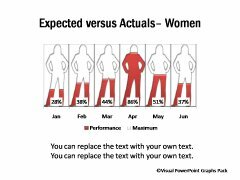 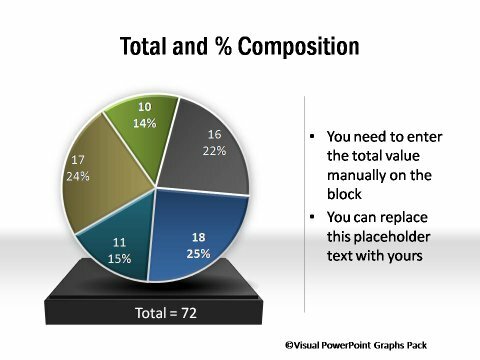 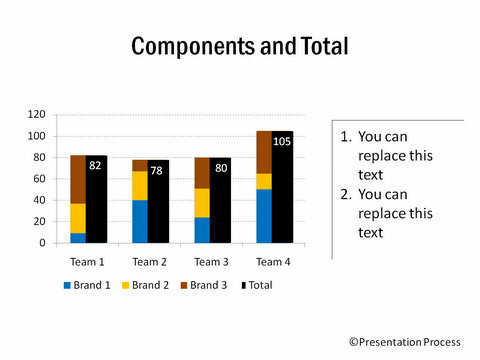 It is not possible to achieve this result with basic graph options in PowerPoint.